Minor injuries are being reported in a two-vehicle accident on CR 1000E (East County Line Road) near CR 1250N, on the north side of Lake Wawasee, Syracuse. 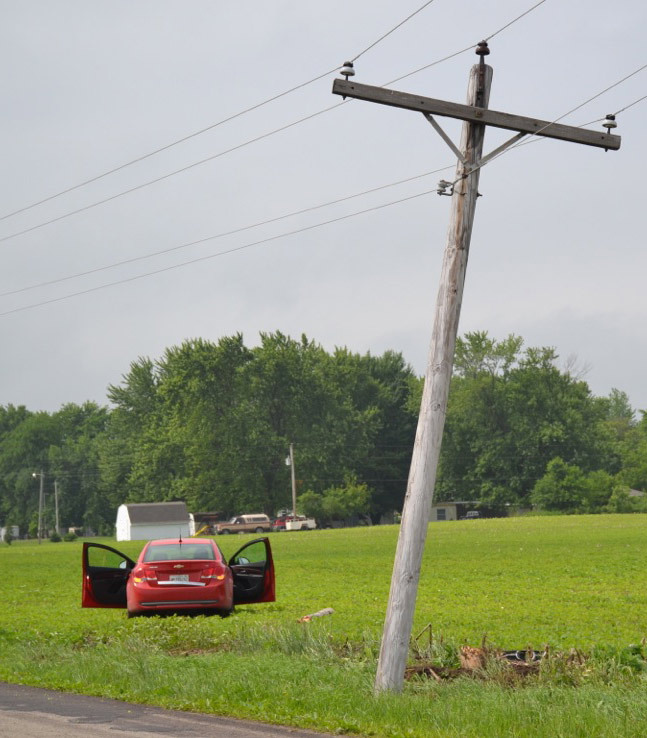 The accident occurred around 11:18 a.m. today, Tuesday, June 16. 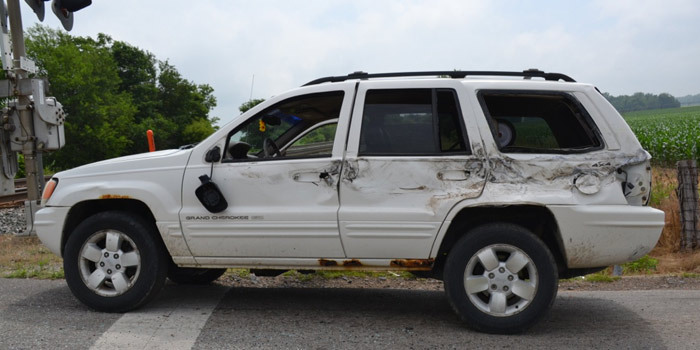 According to information at the scene, one vehicle was traveling southbound on East County Line Road, and crossed the train tracks at an unsafe speed. The vehicle became airborne sideswiping a northbound vehicle. One individual was cut by broken glass and has signed off on any medical treatment, the other individual was still being evaluated by Syracuse Paramedics. Syracuse Police, Kosciusko County Sheriff’s Department, Turkey Creek Township Fire Department and Paramedics responded.